England will bid to end their 28-year wait to reach a World Cup semi-final when they face Sweden on Saturday after Brazil were dumped out in the last eight by Belgium. Gareth Southgate’s young side face the Scandinavians in Samara with a place in the last four against either Croatia or hosts Russia up for grabs. In the other half of the draw, Belgium will play France in Saint Petersburg next week after Didier Deschamps’s side saw off two-time winners Uruguay 2-0 in an impressive display. With the exits of Brazil and Uruguay, there are no multiple winners left in the competition, while it is the first time in history that none of Brazil, Germany or Argentina have made the semi-finals. The 1966 champions edged out Colombia in the last 16 with their first-ever World Cup penalty shootout win after three previous defeats, securing a first knockout-round victory at a major tournament since beating Ecuador in 2006. 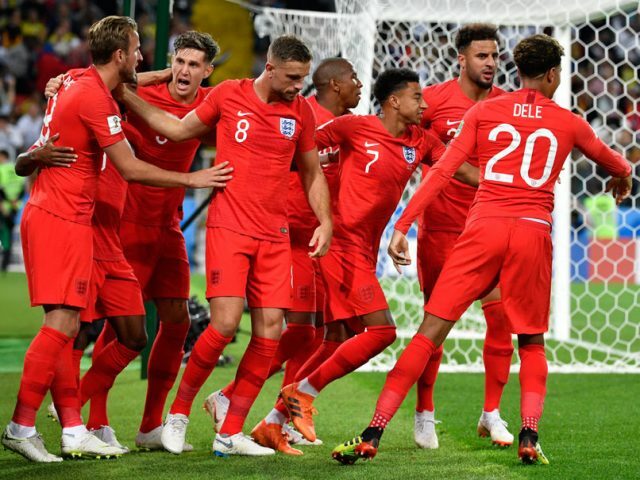 “We’ve already had our first knockout win in 12 years, our first win in a penalty shootout in a World Cup for England, the highest number of goals scored in an individual game (against Panama),” added former defender Southgate. Widely written off, including by their own supporters, before the tournament began, hosts Russia know they now stand just two matches from the July 15 final at the Luzhniki Stadium in Moscow. An impressive Croatia outfit led by midfield lynchpins Luka Modric and Ivan Rakitic stand in their way on Saturday in Sochi, but coach Stanislav Cherchesov said his side were boosted by the support of President Vladimir Putin. “President Putin called me before the (last-16) game with the Spanish and after,” Cherchesov said.